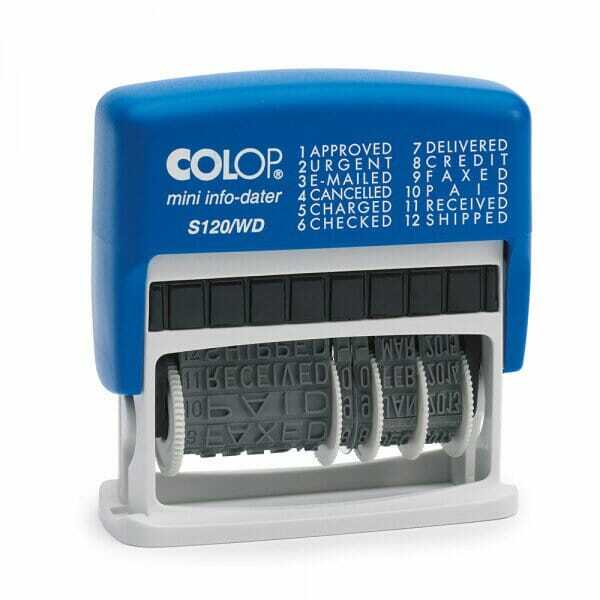 Colop's Printer Mini-Info-Dater S120/WD displays 12 commonly used phrases in the office and allows you to set the date and print it next to the chosed phrase. The phrases include: approved, urgent, e-mailed, cancelled, charged, checked, delivered, credit, faxed, paid, received and shipped. The date will be displayed as day, month (in letters), year. Customer evaluation for "Colop Printer Mini-Info-Dater S120/WD"